It is the capital city of Philippines, and there are many things that you can do in here. If you are traveling the city for the first time here are few things that may help you. Manila Ninoy Aquino International Airport or NAIA is also known as Manila Airport. It is the main gateway to Manila and is located on the border of Pasay & Paranaque City. There are four terminals at the airport, and you might use one to reach the city. There is a shuttle bus system that connects all the terminals for the passengers. Although most of the travelers book their place of stay well in advance and there are many choices when it comes to finding a suitable place to stay. Many low budget hotels can give you the same comfort of a 5-star hotel. They are available in aplenty and are available at a fraction of a price. They are most suitable when you are traveling alone and when all you need is a spacious bed, a clean toilet, air-conditioning then they are the best choice. If you want to feel more at home, you can stay in one of the bed & breakfast establishments. They are private homes which are converted into guest accommodations, and the breakfast is part of the room rate. If you are traveling with family and want a home away from home, you can go for a rented apartment. 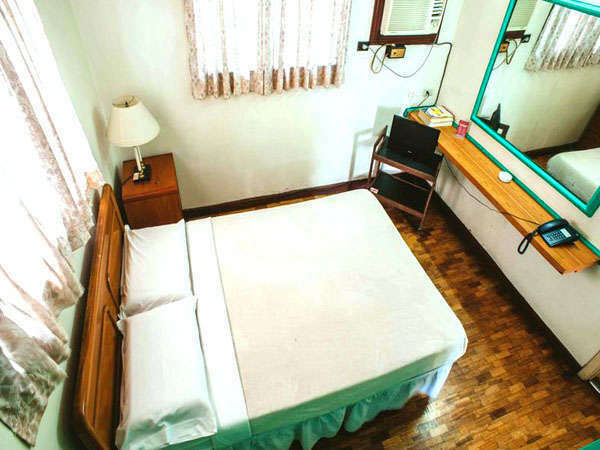 To rent an apartment in Manila click here. They are good for the lone travelers who just need a bed and don’t mind sharing toilets and bathrooms with other guests. Then there are boutique hotels, which offer slightly additional facilities and better services. Once you have settled down in your place of stay, you might want to see the city. Here are some things that you may do here. It is one of those few cities in Asia that look out to the west over the sea. Although the air is polluted, the smoggy clouds send light and color bouncing all over the place, giving you a great sight along the Manila Bay. It is a historic walled city that held great importance in the American and the Spanish governments. The city was entirely ruined in WW-II, but rehabilitation began in 1950. Simply walk around the area on a kalesa to explore this oldest district. There are churches of historical importance in Manila, and they are now great attractions for many of the visitors coming to the city. Manila has many malls too, and you can choose in which one to go. But if you are looking for some real shopping adventure go haggling in the street markets of Divisoria, Quiapo, etc. Once you reach here, you may feel the humidity, but the shopping may take you over. Travel with family is good once you go for a rented apartment in Manila rest there are many more places to see, why not just travel and discover them?